Delivering the right care at the right time in the right setting is the core mission of Kentucky hospitals. 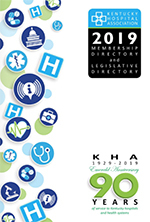 KHA is committed to helping members improve the quality of care they provide every day. The Association has multiple initiatives and resources to further this goal. You can find details of all the programs in the Safety and Quality section of the website.